In our previously published articles, we talked about basics of Artificial Intelligence and many related things like Fuzzy Logic, Deep Learning etc. Artificial Intelligence is an Umbrella Terminology to Describe Human Intelligence Exhibited by Machines. Machine Learning is using algorithms to parse data, learn, and predict at basic form. In this article, we will discuss the difference between Artificial Intelligence and Machine Learning in easy, plain language. Artificial Intelligence was towards a sci-fi concept. Compared to humans, existing Artificial Intelligence lacks human commonsense reasoning. Frankly, we need to “feed” a machine “knowledge” as data and provide algorithms to analyze it and from analysis complete goal. Machine learning is part of Artificial Intelligence, which is the study of computer algorithms that improve automatically through experience. Machine learning terminology was coined in 1959 by Arthur Samuel which evolved from the study of pattern recognition and computational learning theory in artificial intelligence. Learning can be unsupervised learning or supervised learning. Another type of learning is reinforcement learning. The mathematical analysis of machine learning algorithms and their performance is known as computational learning theory. Most problems machines expected to solve require knowledge. We can divide knowledge is ontology (set of objects, relations, concepts, and properties). Natural language processing (NLP) gives machines the ability to read and understand human language. Example straightforward application of natural language processing is text mining, machine translation. Honestly, at present we deal with data science and algorithms not real sci-fi quality Artificial Intelligence. We use various things to create connected Connected Vehicle a practical solution. Machine learning explores the study and construction of algorithms that can learn from and make predictions on data. 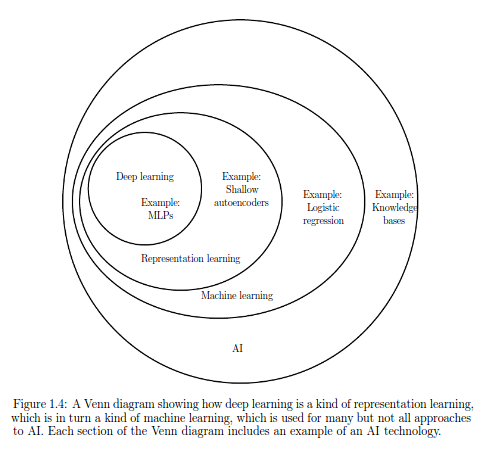 Deep learning is part of a broader family of machine learning methods based on learning data representations. This Article Has Been Shared 7013 Times! Here Is List Of Open Source Big Data Visualization Tools Which Will Convert Data In To Graphs, Charts Usable With Tools Like Spark, Hadoop. What is Data Refining in Big Data? What is Data Refining in Big Data? In Data Refining we refine disparate data to increase understanding of the data & remove data variability. Overview of Cloud Based Big Data Platforms And Tools Has Classified the Big Data Tools Offered By IBM to Help Works Like Running Pig Scripts. In-memory computing has been around for several years. Niche which relies on this technology includes telecom, social networks and trading. What is Data Defined Storage? We Often Hear the Terminology Data Defined Storage in the Context of Big Data. What is Data Defined Storage? Cite this article as: Abhishek Ghosh, "Difference Between Artificial Intelligence and Machine Learning," in The Customize Windows, April 15, 2018, April 26, 2019, https://thecustomizewindows.com/2018/04/difference-between-artificial-intelligence-and-machine-learning/.